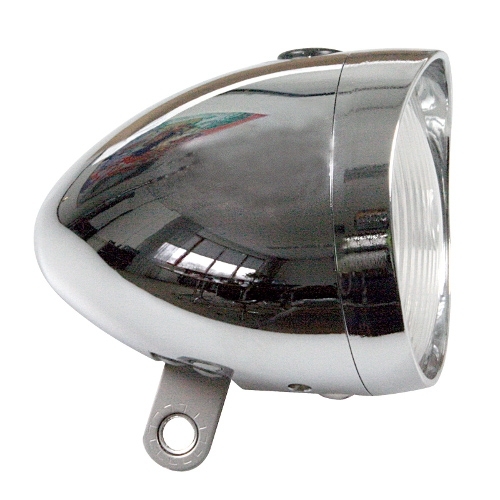 The Smart/Move BL112+ is a permanently mounting battery powered LED front light for traditional bicycles. Similar to the Galaxy+ in performance, this offers a similar 4 lux output but with retro style. While it is a more powerful light than many older battery lights, we recommend this light as being bright enough to be seen by in urban environments with lighting but not suitable for use in extreme darkness or unlit busy roads. Because it mounts permanently on your bicycle you do not have to carry this light with you when you park, greatly increasing the convenience of cycling. We suggest a B&M 4706 bracket for this light. Two AA cells (supplied) last approximately 100 hours with this light. 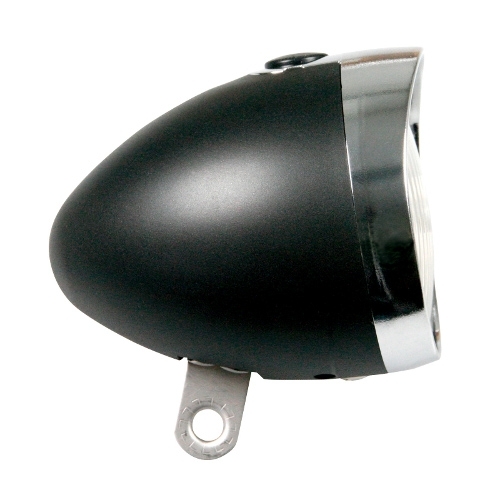 Available in either chrome or black finish or as the BL123 variant with built in fork crown mount. See "additional photos". For similar retro looks, but with a somewhat higher performance powered by a dynamo, consider the Lumotec Classic.